I did not add the alcohol. 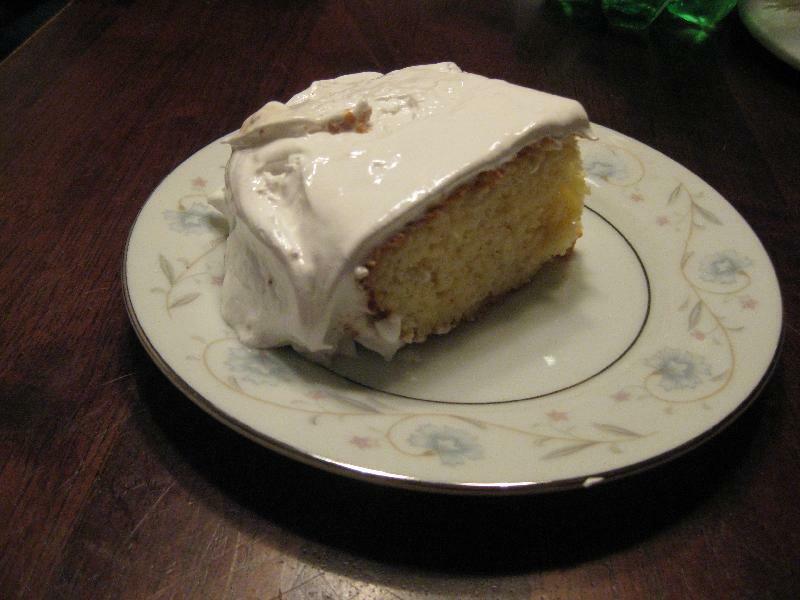 I have never eaten or even seen a tres leches cake before making this. I thought it was very delicious as did my husband. Grease and lightly flour a 9 x 13 baking dish. I used a glass pan. Separate the yolks and egg whites. Beat the whites until they are very frothy and foamy. Set aside. In a large mixing bowl cream the sugar, egg yolks, and vanilla with an electric mixer. Continue mixing and slowly add the milk. Add the flour mixture a little at a time until it is all mixed in and the batter is smooth. Use a spatula and gently fold in the egg whites into the batter. Pour the batter into the baking pan. Bake for 35-45 minutes, or until a toothpick stuck in the middle comes out clean. Let the cake cool on a wire rack for 20 minutes. Place the cake on a cookie sheet or another baking pan that has edges. Whisk together the sweetened condensed milk, evaporated milk, and heavy cream until well blended. Pour the syrup over the cake a little at a time. Allow it to soak into the cake before pouring more. If there is milk pooled at the top or bottom of the cake do not worry it will soak in. Cover the cake in plastic wrap and allow it to sit in the fridge for at least three hours. Beat the egg whites with the cream of tarter until it forms stiff peaks. Meanwhile in a pan over high heat cook the water, sugar, and corn syrup. Stir constantly until a candy thermometer reaches 230 degrees. While beating the egg whites with the mixer pour in the sugar mixture. Using a wet spatula spread the frosting over the cake. Serve cold.